Carol Dweck is Professor of Psychology at Columbia University. She is a leader in the field of student motivation and her research is widely recognised. Over many decades she has developed a highly influential theory of student motivation building on the work of others notably on ‘attribution theory’ – what we attribute for our failures and successes. She divides students into two types, based on the student’s own theory about their own ability. Untapped Potential theorists: These students believe that ability and success are due to learning, and learning requires time and effort. In the case of difficulty one must try harder, try another approach, or seek help etc. About 15% of students are in the middle, the rest are equally divided between the two theories. Surprisingly there is no correlation between success at school and the theory the student holds. Differences in performance only show when the student is challenged or is facing difficulty, for example when a student moves from school to college. Then research has shown that the ‘Untapped Potential Theorists’ do very much better, as one might expect. It is possible to move students from the Fixed IQ theory to the Untapped Potential theory. However, the research which shows that this can be done, is not at all detailed about how exactly! It’s a matter of persuasion of course. Many teachers, myself included, thought that “it’s obvious” that learning is worth the effort and can produce improvement. But almost half of our students at every level, do not share this view. The challenge to change their view will be well rewarded. Why bother with Dweck? 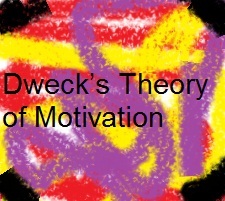 A recent review of research by Hattie Biggs and Purdie into the effectiveness of Study Skills programmes found that the programmes that had the greatest effect focussed on the ‘attribution’ by students of what affected their learning – this is precisely Dweck’s focus. Whether students attribute their success to something they can change or to something they can’t is immensely influential, and this attribution can be changed. The effect sizes found by Hattie et all showed that work on attribution can improve a student’s performance by between two and three grades!